Endre Ugelstad was well known for his work to promote psychotherapy for persons with psychoses, and especially for encouraging long term supportive psychotherapeutic approaches. He inspired many by his skilled supervision of staff to do such dedicated work. 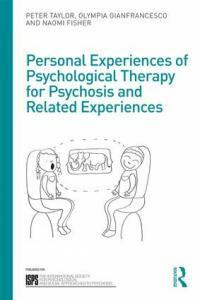 He had psychoanalytic training, but he believed that good therapeutic work could be carried out by all clinicians who had the capacities to form relationships with the psychotically vulnerable and that this in itself could lead to considerable improvements for the patients. He received his MD in medicine at the University of Oslo in 1948 and worked as a resident in psychiatry at Gaustad Hospital and Ullevål Hospital in Oslo from 1950 to 1956. He then worked a few years in private practice. Later he worked for many years as a psychotherapy consultant at Gaustad Hospital, where he was one of the first in Norway to give group psychotherapy to persons with psychosis. He was a member of the Norwegian Psychiatric Association and of the Norwegian Psychoanalytic Association. Endre was one of the founders of the Institute of Psychotherapy in Oslo in 1962. He took active part in the development of the institute and later became an honorary member. The Institute was established to make training in psychodynamic psychotherapy more available and to make psychotherapy more available for patients with more severe disorders. The Institute has continued to develop this vision and is organising training in psychotherapy throughout the country. Even though Endre did not pursue an academic career and never got a high academic degree, he saw the value and importance of research and took initiatives to studies on psychosocial treatments of psychoses. Within the framework of a comparative study he and his co-workers at Gaustad implemented alternative treatments for long term patients with chronic severe mental illness. He later presented this at the 5th International Symposium in the Psychotherapy of Schizophrenia held in Oslo in 1975, and in 1977 he received the King's Gold Medal for his thesis on “Psychotic Long Term Patients in Psychiatric Hospitals”. He became increasingly aware of the need to do research also in order to get politically strong arguments in claiming the need for adequate resources for therapy. Together with other Nordic colleagues Endre focused on interventions for first time psychoses in the NIPS study (Nordic Investigation on Psychotherapy of Schizophrenia) carried out in the1980s and 1990s. Their book “Early treatment for schizophrenic patients” was published in 1994. This work also led to a Nordic network for research on early treatment of psychosis. In 1990, almost thirty years after being a co-founder of the Institute for Psychotherapy, Endre was one of the co-founders of SEPREP - Centre for Psychotherapy and Psychosocial Rehabilitation of Psychoses, which is a non-commercial foundation and a network of clinicians and researchers promoting psychological treatment of psychoses in Norway. Endre was engaged in all the three types of activities in SEPREP: training therapists, disseminating information on psychoses and treatments and stimulating research. He was involved in starting a two year seminar on psychotherapy for psychoses and in the early phase of a national multidisciplinary training program for treatment of psychoses. The bulletin Dialog was started for communication between people interested in psychotherapy and psychosocial rehabilitation of psychoses. A couple of years after Endre died the new society ISPS made an agreement with SEPREP to get secretarial services from SEPREP. Endre attended some of the earlier symposia and served on the organising committee of the 5th International Symposium on the Psychotherapy of Schizophrenia in Oslo 1975. He was one of the editors of the book published in 1976 with proceedings from the symposium. At the ISPS 1994 in Washington Endre took the initiative to form the ISPS network and became the chairman of the board. He was one of the driving forces to develop the ISPS network into an international society, and he was arguing that ISPS should develop a broader range of activities and promote a wider range of psychosocial treatments. He also started to publish the ISPS newsletter for the network. At that time he knew of his cancer. During the next years with preparation of the ISPS 1997 in London and of the ISPS as an international society, he gradually had to withdraw from the ISPS board. Endre met his first wife Signe when they both worked at a psychiatric hospital before he started his education to become a physician, and in their marriage for twenty years they had three children. His second wife Harriet also worked in the mental health services, and they shared the interest in the work for persons with psychoses. They had two children. Endre died quietly at 76 years old on September 6, 1996 after four years of cancer. During the whole period of the illness he was open about the development to his family and friends, continuing to be very much present in life and including death as a natural part of it. Endre Ugelstad made important contributions to psychotherapy and psychosocial rehabilitation for psychoses in Norway, the Nordic countries and internationally. All of us, who continue the work in ISPS and the other organisations that were initiated by him and other co-founders, are grateful to him and remember him as an inspiring example and a good friend. But also many therapist and patients who did not know Endre have been positively influenced by his work through the impact he made on those who met him and worked with him.